Artist's rendering of daylighted Saw Mill. The first phase of daylighting will uncover 800 feet of the river, currently flowing beneath a city-owned parking lot, and create attractive walkways along its banks in a two-acre park. The project offers myriad benefits, beginning with 200 immediate construction jobs and an estimated 1,000 permanent new jobs once work is completed. Projections also indicate a $5-million to $6-million rise in revenues for local businesses and restaurants from the spectacular new park. Some future development will be built along an expanded riverwalk. In addition to attracting more visitors and spurring new investment in the downtown, the project restores an important part of the city's history -- the settlement of Yonkers began along the Saw Mill's banks in the 17th century. It also will provide important water-quality improvements for both the tributary and the Hudson River. The project is being engineered to capture 170 tons of trash that empties annually into the Hudson from the Saw Mill. At the same time, the new, open-air streambed will make it easier for declining populations of American eels and river herring to swim up this tributary, where herring lay their eggs and eels stay until reaching adulthood and returning to the sea. What's more, people will be able to witness these amazing journeys that link the Atlantic Ocean to the Hudson Valley, reminding us that Yonkers is a coastal community. 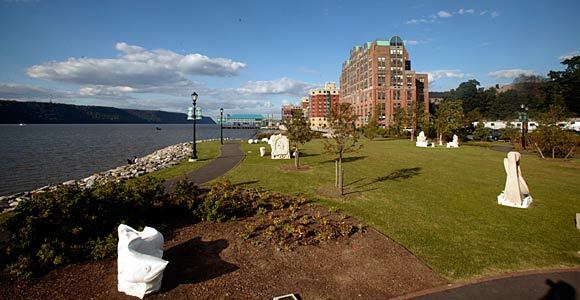 Scenic Hudson helped shape Yonkers' revitalized waterfront. Scenic Hudson has been involved in Yonkers since the mid-1980s, when we went to court to block construction of six riverfront skyscrapers. Working with the city and residents, we helped shape a reasonably scaled development that includes a mix of housing, commercial space and a five-acre park and esplanade. For the first time in decades, the public could enjoy the city's waterfront. Scenic Hudson's vision for Yonkers also included a necklace of parks spanning the length of the city's four-and-a-half-mile shoreline. Under new zoning regulations spearheaded by Mayor Philip Amicone, each new riverfront development must provide public space -- in some instances up to 300 feet wide -- along the water. 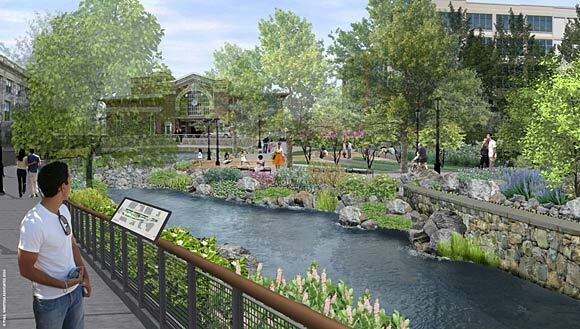 These parks will be essential in attracting new residents to the city and will facilitate completion of the Westchester County RiverWalk, the planned 51-mile trail spanning Westchester's Hudson shoreline. Scenic Hudson also worked with the city and county to create Habirshaw Park, home of the Beczak Environmental Education Center, on Yonkers' riverfront. it is the only place in the city where schoolchildren can dip a net in the water and learn how to become future stewards of the magnificent, inspiring Hudson.